SAN JOSE, Calif. – September 14, 2010 – Gaia Interactive, owner of Gaia Online, the world’s most active social gaming community with more than eight million young adult members, recently announced the release of a new game, Frontier Skies. Players embark on a challenging journey across the world of Gaia to save the ecosystem of a legendary floating island, battling eco-disasters and famine while competing against other teams around the country. 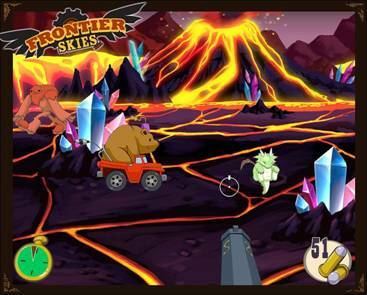 Frontier Skies is the much-hyped finale of Gaia’s 2010 Annual Summer Event featuring stunning Flash environments, exciting contests, and innovative gaming challenges. The game focuses on the community goal of getting as many players as possible to the island to save its ecosystem. Similar to traditional turn-based strategy games, players must engage in resource planning (crew member food consumption), decision-making (risky but quicker route or slower safe route), and react to unexpected challenges on their journey. Friends compete against one another and the rest of the Gaia community with results displayed on a community leader board. Points earned in the game can be exchanged for unique virtual collectibles that can no longer be won when the event ends. The 2010 Summer Event is in its third year on Gaia Online with this year’s game extended from two to four weeks. For the first time, the game will live on the site beyond the duration of the Summer Event. In 2009, over 470,000 Gaians participated in the online Summer Event, making it one of the largest events of its kind. To play Frontier Skies and join Gaia’s online eco-adventure, visit http://www.gaiaonline.com/event/summer2010. Founded in 2003, Gaia Interactive runs Gaia Online, the leading online hangout for teens and young adults. More than eight million visitors come to Gaia Online every month to make friends, play games, and participate in the world’s most active online community. Gaia Online provides a fun, social environment that inspires individuality and creativity. 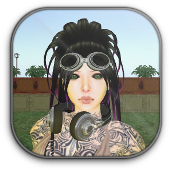 With everything from art contests to discussion forums on poetry, politics, celebrities and more, to fully customizable profiles, digital characters and cars, Gaia Online is a place where teens can create their own space and express their individual style. For more information, visit www.gaiaonline.com. This entry was posted on Tuesday, 14th September, 2010. You can follow any responses to this entry through the RSS 2.0 feed. Both comments and pings are currently closed. 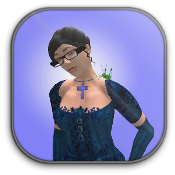 Categories: Frontier Skies, Gaia Online, Games, Gaming, MMOG, Press Releases, Video Games, Virtual Environments/Virtual Worlds.